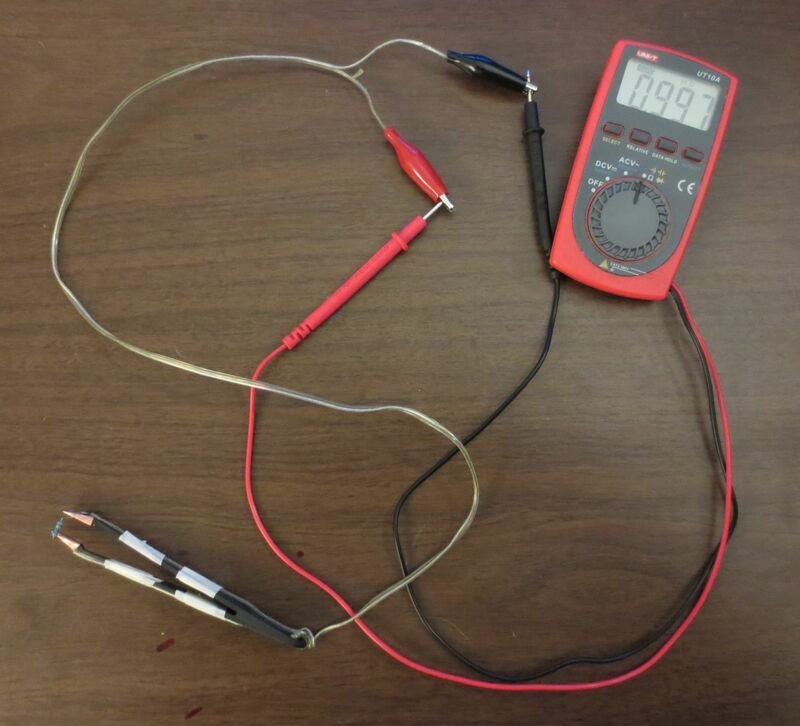 A while ago, I read a post about “Smart Tweezers” on Hack a Day, as well as a DIY version as well. These are good designs to measure components without trying to hold two probes and the component at the same time. These designs are overkill (and overpriced) for what I do, though…I don’t need a whole meter built into my tweezers. Build directions are after the break. Drill a hole in the back of the tweezers for the wire. 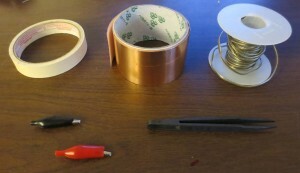 Cut two centimeter lengths of copper tape and wrap around each tip of the tweezers. 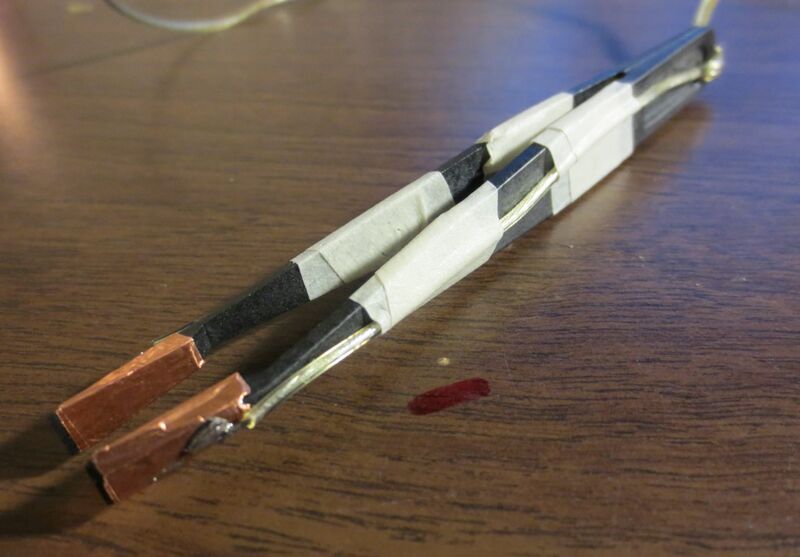 Cut about 2ft of speaker wire (the tweezer length, plus however much you want to hang off the other end). 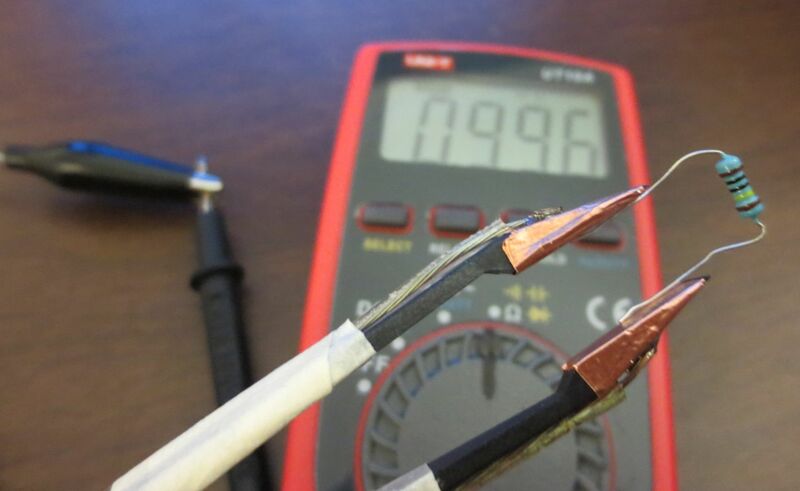 Split the speaker wire to a little longer than the length of the tool. Feed one wire through the hole, then feed the unsplit side through and tie a knot to secure it. On each side: masking tape the wire down the side of the tweezers down to the copper — you should have some excess wire at the copper side. On each side: trim the wire to the very tip of the tweezers, strip about a centimeter, and fold the exposed wire to make a little loop. On each side: solder the loop of wire down to the copper. Continuity test from clip-to-tip on both sides, and you’re done. Now you can clip the gators to your meter, and easily measure any component without trying to hold two probes at once.